Guo Hong, 29, is a PE teacher at Zhejiang University. Her cheer leading class is the most welcomed PE class in the university, and even some of the male students signed for it. Because it is so popular, the students have to draw for the spot to attend the class. "I started to learn gymnastics rhythmic at the age of four. I was the champion of a national cheer leading competition, an aerobics competition, a Miss Fitness competition…I was champions of almost all the sport events I took part in," said Guo confidently, "Now, I'm most into cheer leading." 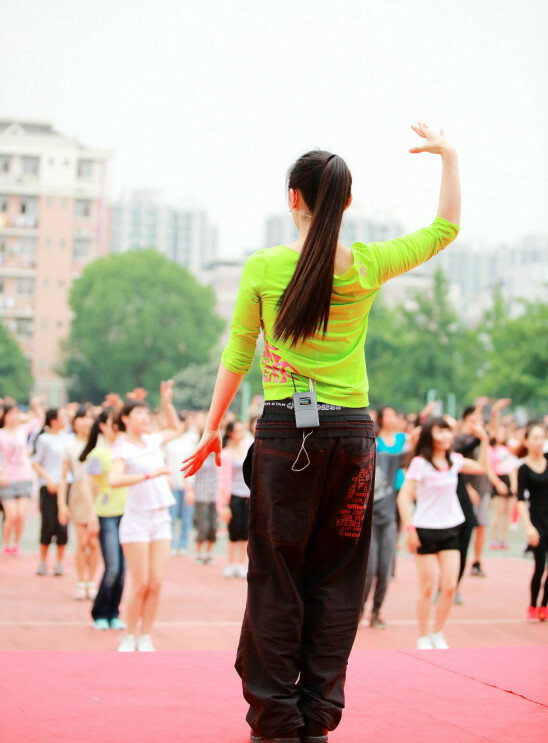 Guo started the cheer leading class in Zhejiang University completely by herself. At the beginning nobody knew about this sport, but now students actually flush into her class. Guo has spent a lot of time and energy into it. Besides teaching, Guo also energetically participates in a lot of activities such as the AFA (Asia Fitness Academy) meeting, classes of Face of China and pop dance. "The students are more interested into trendy things. After I learn more I can inspire and teach them better," said Gao.